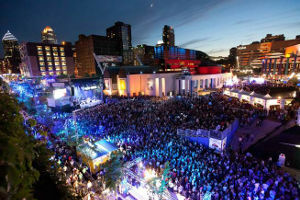 A major event such as Festival International de Jazz de Montréal presents each year a large number of foreign artists. Every arts organization who makes a payment to a non-resident artist or company for services rendered in Canada must withhold and remit a 15% withholding tax (arts organizations established in Quebec are also subject to additional withholding requirements). While a waiver process exists, it is administratively cumbersome and slow. In addition, there are information return and tax return obligations that are little known, but that can cause serious problems to non-resident artists. Failure to submit an information return or an income tax return will result in penalties, which will add another degree of complexity to any additional Canadian engagement the non-resident may have. In order to achieve greater efficiency and better risk management in the administration of non-resident taxation, arts organizations have come together to form a Performing Arts Tax Working Group. This webpage provides resources and the latest news from this working group. After three years of advocacy, the Canada Revenue Agency introduced in June 2018 a simplified income tax process for non-resident artists (known as R105-S). This simplified process addresses a few of the recommendations issued by the Performing Arts Tax Working Group, but it is quite limited in scope and application. At this point, we do not recommend to direct foreign artists to R105-S, unless they are touring as an individual (or unincorporated group) and they reside in the United States. The Performing Arts Tax Working Group continues the dialogue with the Canada Revenue Agency and other federal stakeholders in order to seek further streamlining to non-resident taxation. 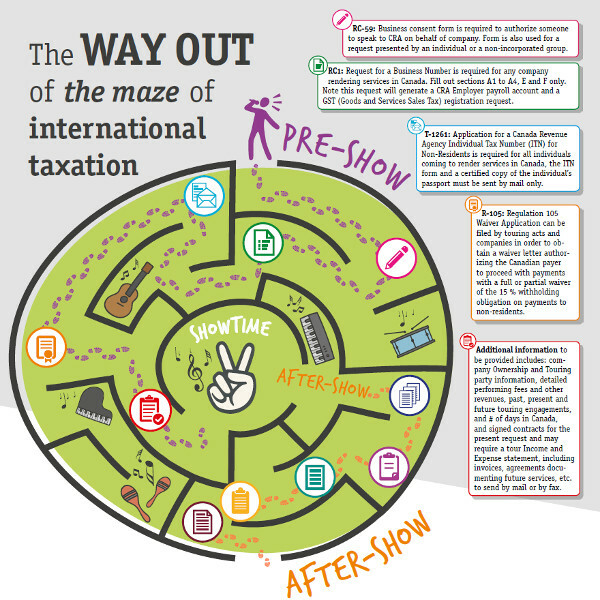 This infographic was developed for the Performing Arts Tax Working Group, with support from Regroupement des événements majeurs internationaux and Festivals and Major Events.